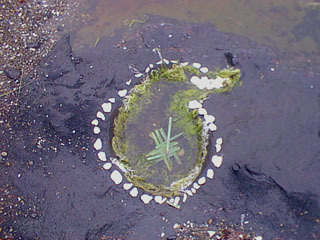 I'm not sure who made this one and the one in the next picture, but hikers come through and decorate the little pools. I spent an afternoon hauling pieces of things around and doing a few of my own. You can't really tell from these pictures, but some of them are quite intricate.